The JPT Newport is housed in a historic building that was built in 1834 as a church and has shown films since the silent days of the 1920s. 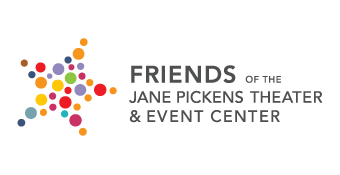 While the business is operated as a for profit, a non-profit entity Friends of The Jane Pickens Theater 501(3)(c) exists to fund local educational film programming. Our lobby feels more like a lounge where you can relax prior to the film. No panic to get to your seats as we have 300 good seats downstairs and another 172 in the balcony. It's a mix of styles with authentic art deco chandeliers, wrought iron railings, a real original ticket booth, a new cherry "conversation" table, counters with bar stools. Original posters from the Misfits of Marilyn Monroe and Clark Gable (1961) guide you to the ladies and mens rooms. We do sell what you might expect .......popcorn (though ours is with REAL BUTTER), candy and sodas. We pop for every show so the popcorn is always fresh. Double wooden counters display our many choices of gourmet and "predictable" candy. Yet our offering is much more. We offer a choice of craft cocktails, wine and beer. And, yes, you can take your drink into the auditorium and come out during the film for another! The Jane Pickens Theater & Event Center is a world-class art house cinema based in Washington Square in the historic center of Newport, Rhode Island. The appeal of the films that are screened and the events that are created in this unique public meeting space is to a broad range of the local community and to an important tourist base. We try to never take ourselves too seriously as we build events that inspire, challenge or make the experience just plain fun. As the only movie house in downtown Newport, The Pickens as it is known locally is a film and event space with a sense of style based on history. The theater shows the best movies available, films that are selected to play to the discriminating taste of the target audience. The theater presents a mix of first run movies, documentaries and classic films and does not just show films but creates experiences for its clientele. The goal is to make our events memorable and unique in their presentation, approach and/or mix of media. Another objective is also to utilize this historic building as a tool for fundraising for a variety of non-profit causes within our community. As one of America’s oldest theater buildings, the Jane Pickens Theater & Event Center is an important part of the social fabric of the city of Newport. Screening of Live performances from all over the world. Our Live and encore pre-recorded screenings in HD on our big screen include The National Theatre in London, Royal Opera House in London, The Bolshoi Ballet in Moscow, The Kenneth Branaugh Theater Company and more. For information on visiting or renting the Jane Pickens Theater & Event Center, call our office at 401-846-5474 or contact us. First built as the Zion Episcopal Church in 1834, then St Joseph’s Catholic Church in 1885, then a live theater for just a few years in 1918 and finally found its niche in 1922 when it became a movie palace with advent of silent film known as The Strand. The JPT Newport can say that it is are one of the few places where film has been shown in all its “improving formats” for over 90 years. Mr. Joe Jarvis loved/owned The Jane Pickens Theater and kept this movie palace alive for 30 years from the 1970s to early 2000s. The existing structure was built in 1834 as the Zion Episcopal Church. One of Newport's first Greek Revival buildings, it was by designed by well known architect Russell Warren (who you may know as the architect of the Arcade in Providence) and built by William Weeden, a carpenter-builder. The building was a spin-off of Trinity Church down the street where people bought their the pews and at that time Trinity was “sold out”. The JPT Newport has been operated for twelve years by Kathy Staab who owns the building with her husband David. Kathy runs the JPT Newport business with the help of her capable staff, General Manager Linda Levine and Tech Director Mike Smith. The JPT Newport building was acquired by the Staabs as a real estate investment that became a full time job & passion for Kathy after her career in the fashion industry. Kathy graduated from Kansas State University and joined the training program at Macy's where she became a buyer and then a VP merchandise manager. Kathy then moved east to become a VP of merchandising for Jordan Marsh, followed by Talbots and Gardener’s Eden. Her experience in product development and marketing have been an important asset in the rebranding and event management for the JPT Newport. Jane Pickens (1919-1992) was a singer, an actress, a star of the stage, radio and television, a politician, a philanthropist, a mother and a wife. She was the toast of the club-and-radio circuit throughout the 30's and 40's singing with the Pickens Sisters and later solo. She led a glamorous Park Avenue and Newport social life. Jane appeared in the Ziegfeld Follies in 1936 and 1937 with Fannie Brice, Gypsy Rose Lee and Bobby Clark. In May of 1946 Jane was the song star of CBS "American Melody Hour" at the Waldorf Wedgewood Room. On Broadway Jane appeared in Boys and Girls Together in 1940, Regina in 1949 and, of course, Music in the Air. Jane was married three times, to TJ. Russell Clark (divorced), Stockbroker William Langley (deceased), and Walter Hoving (the head of Tiffany and Bonwit Teller), and had one daughter, Marcella. She lived in Bellevue House in Newport (now owned by Ron Fleming, Cambridge architect) that she bought in 1963 and divided her time between Newport and NYC. In 1974 she ran as a Republican candidate for Congress from New York's "silk stocking district" against Ed Koch who late became the mayor of NYC. The Jane Pickens Theater was named after her in 1974 when she and sister Patti gave a dedication concert.